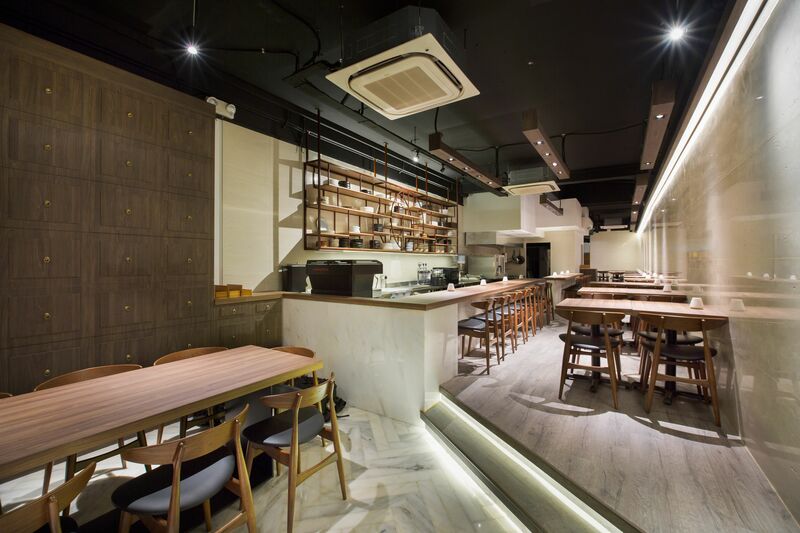 When Chef Woo Wai Leong won MasterChef Asia back in 2015, one would agree that it was an opportune moment to open a restaurant. But that only materialized three years later after his bartending stint at The Horse’s Mouth, doing a series of pop-ups and kitchen collaborations, and realizing that being a lawyer wasn’t for him. While the hype surrounding his win may have died down, his skill only grew stronger over the years, proving that his culinary know-how wasn’t just for TV. 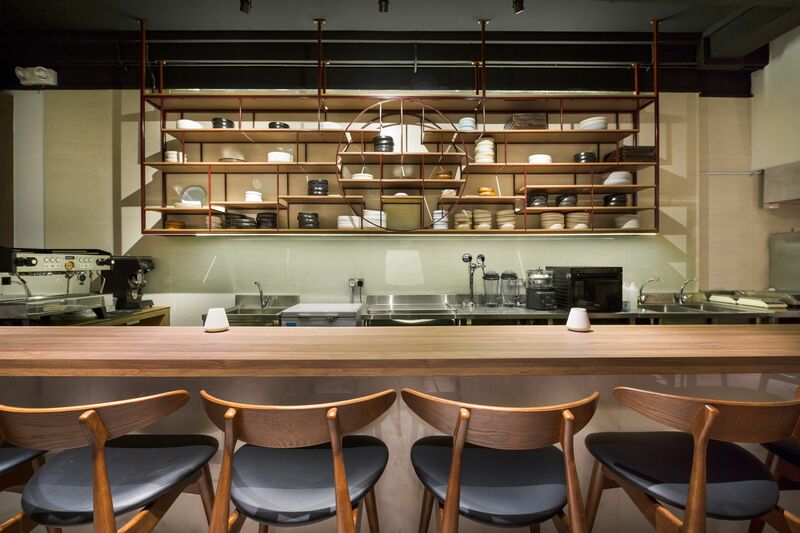 Today, Chef Woo finally welcomes you to Restaurant Ibid, which draws its name from the Latin word meaning “the same place” or “from the same source”. 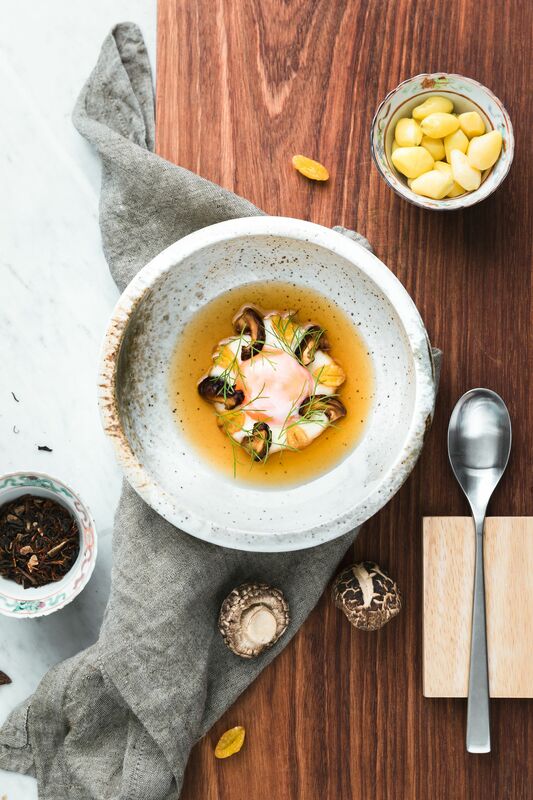 Here, his masterpieces are more than just Instagram-worthy dishes – they seek to explore birth, roots, origins, heritage, and re-interpretation through the use of familiar ingredients in unexpected ways. 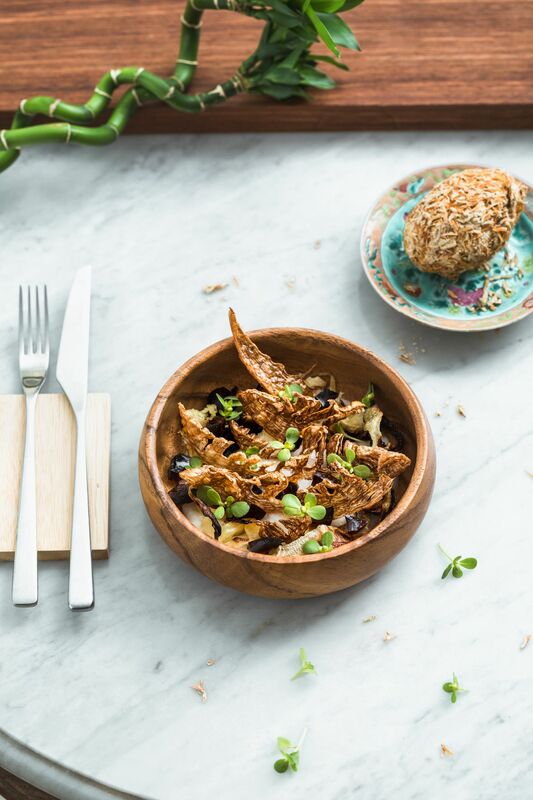 Dubbed “Nanyang-style, contemporary Chinese”, the offerings at Restaurant Ibid might look familiar, but on the first bite, will leave you wide-eyed with wonder, especially since Chef Woo has a thing for funky ingredients that lend a distinct flavor. Take for example his version of the shao bing. 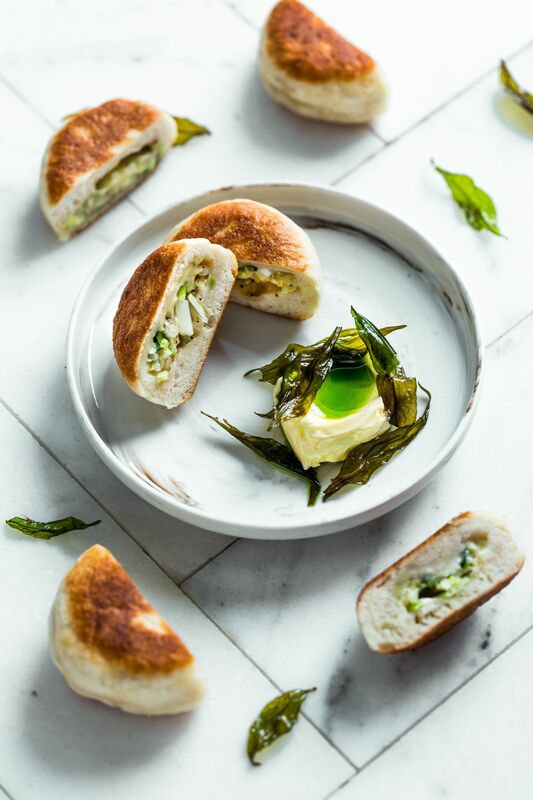 Instead of a typical bun stuffed with spring onions, he fills it with mozzarella cheese and serves it with a side of yeasted butter, which exhibits a subtle tang, topped with crispy laksa leaves and a drizzle of pandan oil. The Beef Short Rib is a crowd pleaser thanks to its fork-tender texture, achieved after being sous vide for 48 hours at a constant 65 degrees. The funk comes in the form of mashed potatoes with black garlic paste, as well as a sauce that’s tinged with angelica root. The inherently tender Momoiro Pork Collar is another favorite that’s grilled over charcoal and served with a sweet and salty gastrique made with caramel glazed with black vinegar, red fermented beancurd, red rice wine lees, and butter. But what is an innovate meal without an equally novel dessert? 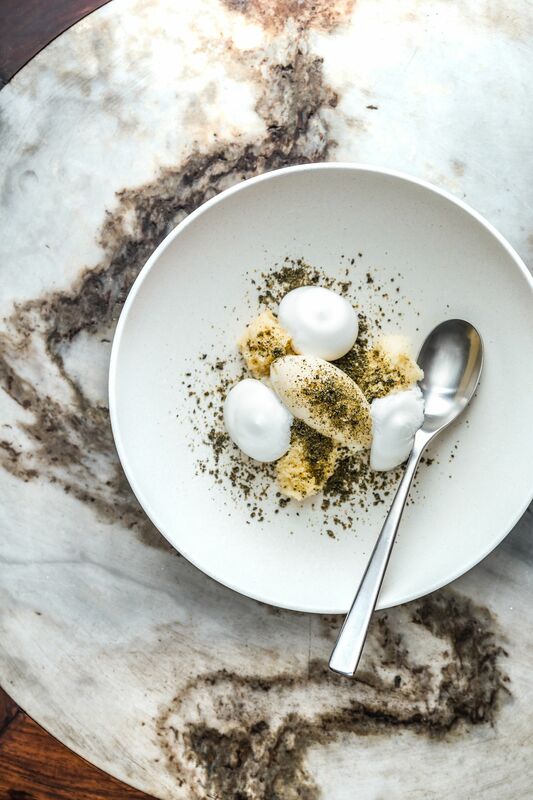 To finish off, I would suggest the chef’s ingenious take on tau huay, comprised of soy milk ice cream with sesame cake, almond foam, and Sarawak pepper.